WigSalon is first on the Internet to preview the new Eva Gabor styles, which are shipping as of today! 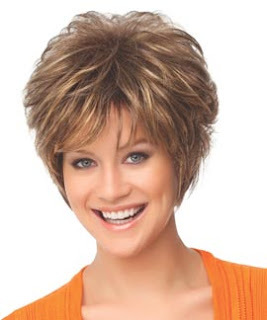 The new JOY wig is like Raquel Welch's popular POWER style, only with a mono cap and a lace-front for natural off the face styling! Did you know Eva Gabor and Raquel Welch wigs are made by the same great company? They are all practical and beautiful - and with Wigsalon's VIP discount - great hair fashion values! All the Best!